8When Easter Week celebrations arrive in southern Spain, all you need to do is let yourself get carried away by your own senses: enjoy the aroma that wafts around you, a mix of orange blossom and incense; be moved as you listen to a saeta flamenco religious song or ‘hear’ the silence of a respectful crowd… Easter Week is one of the most important celebrations in this region of Spain, since throughout these seven days, the Holy Week processions in Andalucia are experienced in a very particular and intense way, since it is only here that you can enjoy the emotion of the traditional Seville madrugá, experience the passion of El Cautivo, the Señor of Malaga, enjoy the joy and revelry behind the Christ of Los Gitanos during their passage through the Plaza de la Merced in the city of Malaga or bear witness to the solemnity of Good Friday. 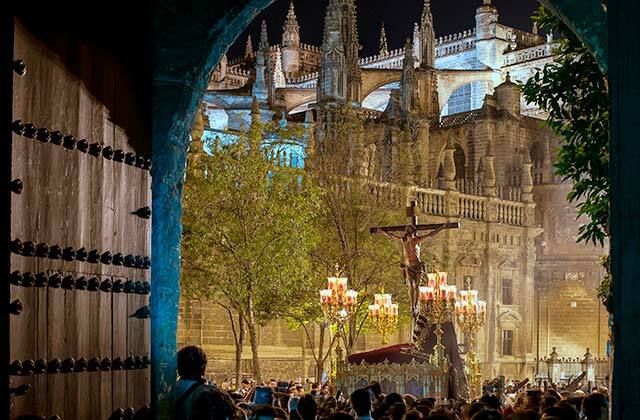 When you watch these Easter Week processions, you will discover carved pieces of great artistic beauty that are carried through the streets among the flickering lights of candles, the colour of the penitents’ tunics and the drum and trumpet band music. This Easter Week, enjoy the thrill of being “your best self” and share this week of passion. 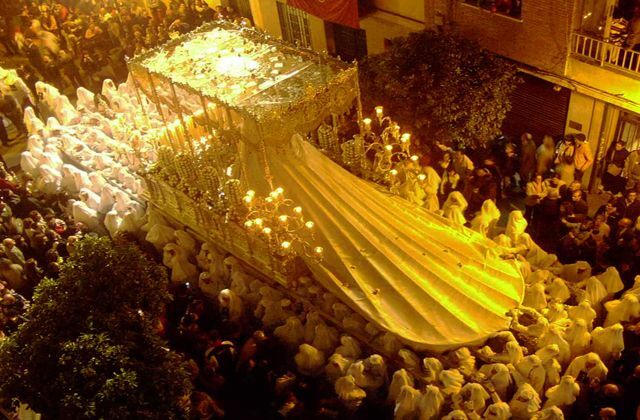 The main attraction of Holy Week in Spain is the procession. The images kept by the churches during the year are taken out on a tour, mounted on beautiful floats and accompanied by beautiful floral embellishments. Images of Virgins, Christ, crucifixions or Nazarenos, among others, represent the Passion and death of Jesus of Nazareth. The procession is accompanied by a procession around the streets and all the people come together to watch it and pray. 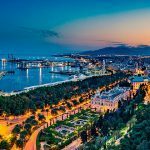 If you are passionate about art, you cannot miss this religious expression which features sculptures by the best Spanish carvers as well as an excellent example of metalwork. One of the most widely-seen figures in Holy Week is that of women who wear mantillas during the procession, a traditional Spanish veil which is most-often used on the days of the Passion of Christ to show mourning and pain. 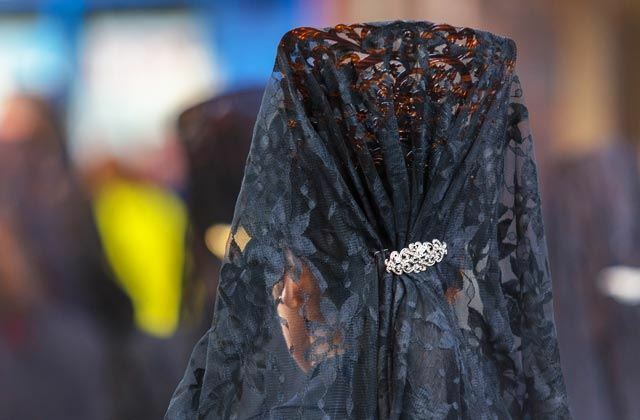 A black dress, a sign of respect, is accompanied by a mantilla of the same colour. It consists of a kind of high comb called a peineta which is covered with a lace veil. The beauty of this dress is one of the reasons why you cannot miss Holy Week. Nazarenos are adherents of different religious brotherhoods that accompany their images in procession. Their outfit is none other than a robe and cape accompanied by a capirote, a type of conical hat that, in most cases, covers the face. Also known as penitents, they are responsible walking in front of the images holding candles and incense. They are one of the symbols of Holy Week, so you won’t be able to ignore them. Undoubtedly one of the most significant cultural events of Holy Week is the singing of saetas to images that are being paraded. 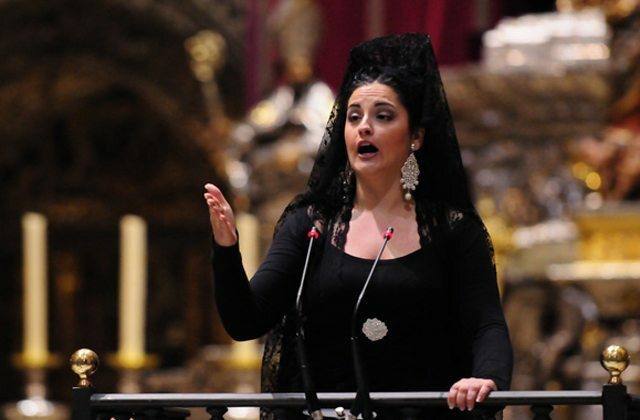 This is a type of traditional religious singing which takes place during these days of Passion and resembles flamenco. The saetero has to have a strong and powerful voice which is filled with emotion as it is sung without musical accompaniment and is aimed towards the image. The throne stops or slows down during the saeta. 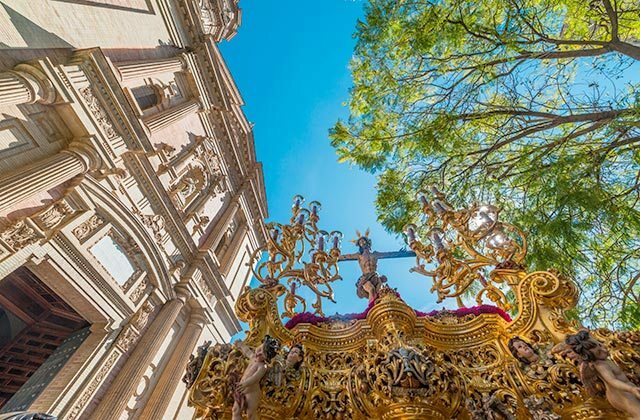 Do not miss this cultural event if you come during Holy Week, especially in Andalucia as it is one of the most exciting moments of each procession. 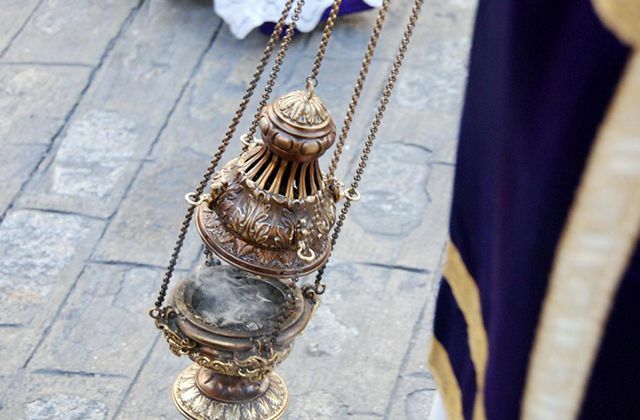 One of the features which tell us that we are in Holy Week in Spain is the smell of incense and wax residue on the streets. Smaller children especially enjoy this time of year because, during the procession, it is very common to see children walking behind the Nazarenos collecting the falling melted wax, pushing it into large balls. A tender image that accompanies each procession. Every float and procession includes its own musical accompaniment. Throughout the year, bands rehearse the traditional Holy Week melodies giving them a sad sound. 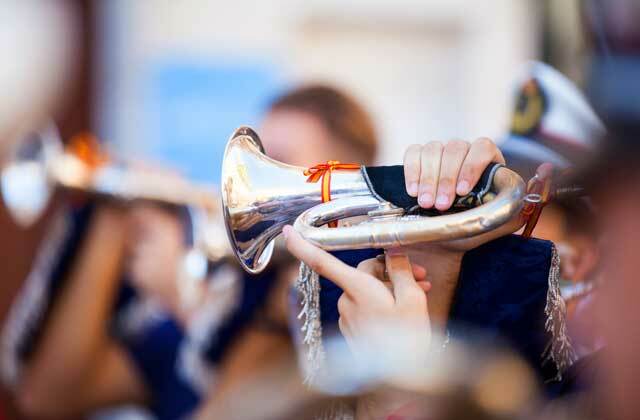 Trumpets and drums are the instruments most commonly used. This is very important for all of the processions except those known as “silent”. On those, you will only hear the Nazarenos‘ footsteps and the noise of moving floats. They are very solemn processions which demand great respect. Processions are not the only cultural and religious event that takes place during Holy Week. 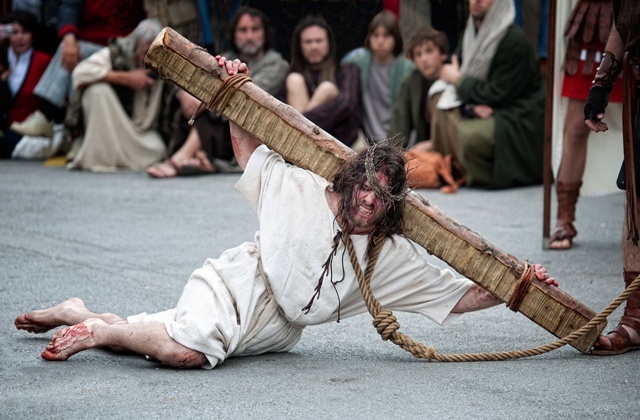 There are Andalusian and Castilian people who act out the Passion and death of Christ. Some are dressed as Romans and others as Jews in the streets, and they act out different episodes of this religious history. The arrest, trial, scourging, the carrying of the cross and the crucifixion are some of the biblical episodes that take in the street scene. 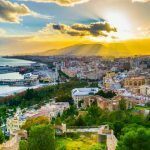 Churches also have an important role within the Spanish Holy Week, especially on Holy Thursday night. This is the moment when it “the candle” is lit for the Lord. This is a special wake where the faithful accompany the image of Christ overnight in the temple. During this time there is silence, interrupted only slightly by the murmur of prayers. 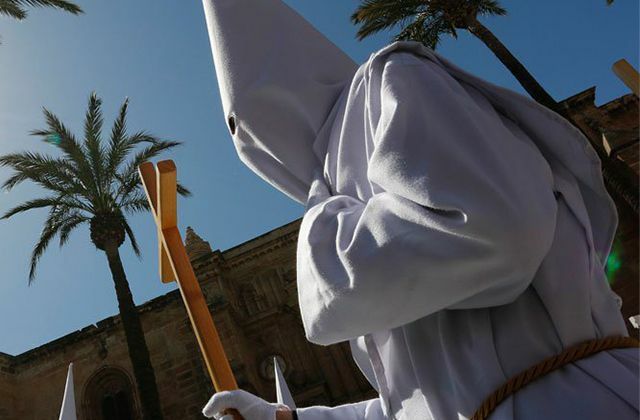 The Spanish Holy Week is accompanied by another series of demonstrations and religious customs. 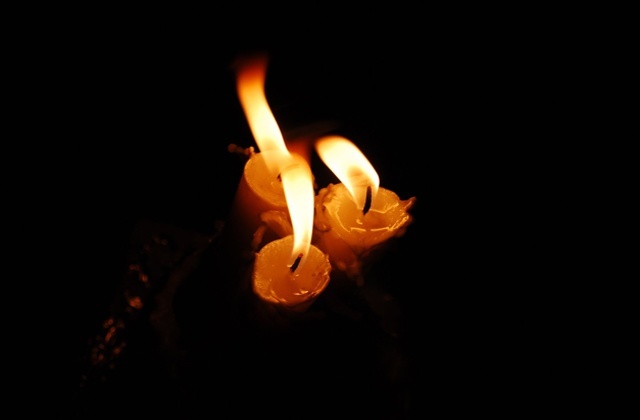 One is that of the “vigil”, which consists of abstaining from eating meat on Good Friday as a sign of respect for the death of Jesus on the cross. On this day, people very often prepare food with cod. Restaurants also offer a special menu for all those who want to continue this tradition. Easter is closely linked to the preparation of pastries which are different from the rest of the year. 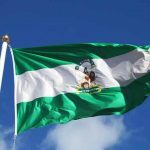 Torrijas are one of these traditional sweets, made with toast soaked in milk and honey, dipped in egg and fried. Petiños and buñuelos can be found in every house. 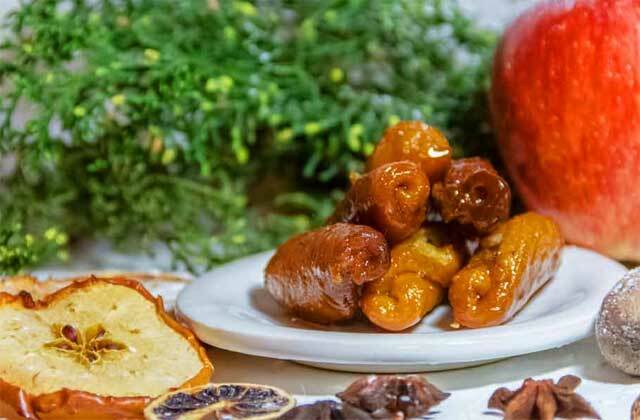 If you come to Spain during Holy Week, you simply must try these great-tasting snacks. 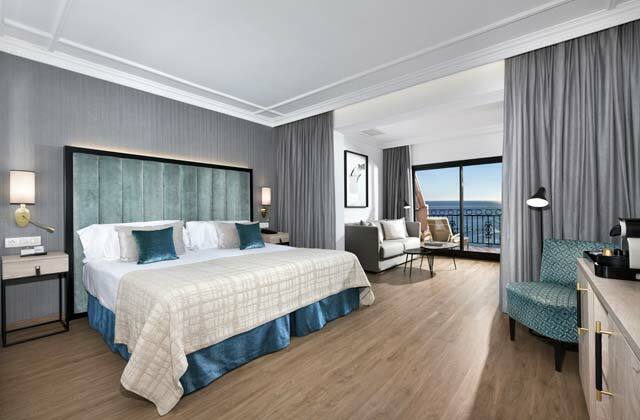 Spain has become the place to go during Holy Week. 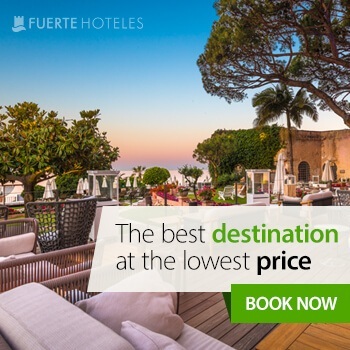 Don’t miss their cultural and gastronomic riches. An excellent choice to enjoy these days of rest in an atmosphere of recollection and artistic wealth.